Drinking red wine could help improve fertility for women with polycystic ovary syndrome (PCOS), a new study has found. The complex hormonal condition is a common cause of infertility, affecting between 12 and 18 per cent of women of reproductive age, according to Better Health Victoria. 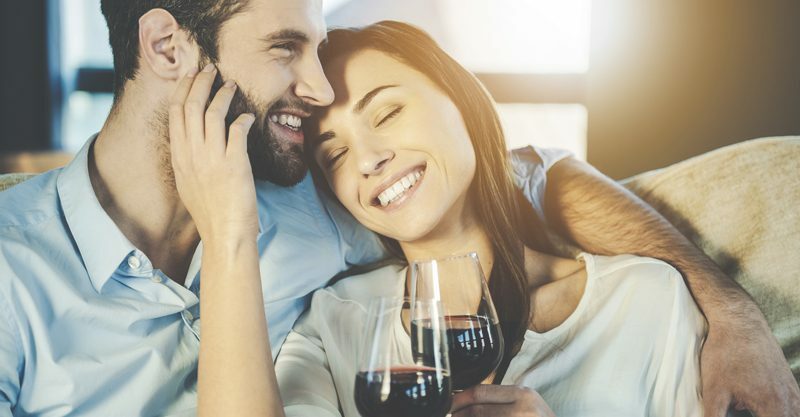 US researchers have discovered a natural compound found in red wine and grapes called resveratrol can help address a hormone imbalance with the condition by lowering their levels of testosterone and dehydroepiandrosterone sulfate (DHEAS). Women who have PCOS produce slightly higher than average amounts of testosterone and other androgen hormones which, as well as causing infertility issues, can contribute to irregular or absent menstrual periods, weight gain, acne or excess hair and puts them at increased risk of health problems such as diabetes. The study, published in the Endocrine Society’s Journal of Clinical Endocrinology and Metabolism, looked at 30 women randomly chosen to take a resveratrol supplement or placebo for three months. Blood taken from those on the resveratrol supplement showed testosterone levels dropped by 23.1 per cent, while testosterone levels rose 2.9 per cent in those on the placebo. Similarly DHEAS, a hormone the body can convert to testosterone, fell by 22.2 percent in the resveratrol group, while the placebo group experienced a 10.5 percent increase. In addition to red wine and grapes, resveratrol is found in nuts and has anti-inflammatory properties. The study’s lead author, Professor Antoni Duleba from the University of California says the study was the first of its kind. “Our study is the first clinical trial to find resveratrol significantly lowers PCOS patients’ levels of testosterone as well as dehydroepiandrosterone sulfate (DHEAS), another hormone that the body can convert into testosterone,” Professor Duleba says. The women involved in the study also underwent an oral glucose tolerance test before and after the study to measure diabetes risk factors. Those who took resveratrol showed improvement in diabetes risk factors, with fasting insulin levels dropping by 31.8 per cent during the study period. “The findings suggest resveratrol can improve the body’s ability to use insulin and potentially lower the risk of developing diabetes,” Professor Duleba says.